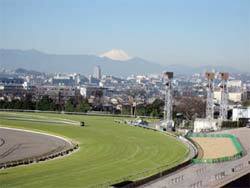 Thank you for your interest in VRC Racing Tour - Japan Cup. Below is the answer to a number of frequently asked questions. Feel free to contact us should you have any questions or concerns. All group members must have valid passports with a minimum of six months validity remaining. Australian Passport holders visiting Japan as a tourist for a period of less than 90 days do not require a visa to enter Japan. Please contact us immediately should you need to travel using a non-Australian passport. Group seating has been secured to fly to and from Japan using Cathay Pacific Airways as they have the services to fly in to Sapporo and home from Tokyo. In each direction our flights will transit in Hong Kong. A rebated "land only" package will be available to Members who secure their own airfares and departure taxes. The large suitcase should not weigh more than 23 kilograms and the hand luggage should not weight more than 5 kilograms. Please note no dangerous items, aerosols, sharp items, liquids or gels are permitted in your "carry on" luggage. The electrical supply in Japan is 110 volts. Most modern electric appliances are dual voltage and will operate in Japan. However you will need to buy an adaptor which will fit a Japanese power point. These are available at any duty free shop or travel shops. November in Japan is the end of the Japanese autumn which makes it one of the best times of the year to visit Japan. In the mornings and evenings, the weather will be cool and it is likely to be colder in Sapporo than our stay in Tokyo. For this reason ensure that you pack either a jacket, jumper, scarf and gloves. It is highly unlikely that we will experience a lot of rain during our stay as the rainy season occurs at the end of the Japanese summer. To secure your place on our 2019 Japan Cup Tour, a non-refundable deposit of $1,000 per traveller is required. The next and final payment is required by Friday the 11th of October, 2019. Travel insurance is an absolute must for Japan. There is little to no crime, but for peace of mind each traveller must be covered by comprehensive travel insurance. Tailor Made Travel is unable to accept any passenger who is not covered by some form of comprehensive travel insurance. Just a simple visit to the doctor in Japan can be a very expensive experience. Please alert us should you require travel insurance. 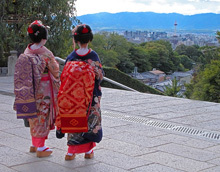 The itinerary has been designed to allow us to see the many highlights of Japan in a short amount of time. Please not that no activities are compulsory to attend. We ask that you alert the tour organisers should you like to abstain from any parts of the itinerary. We only request that in fairness to all group Members that punctuality is adhered to so nobody is inconvenienced. Each activity will be conducted at a relaxed pace, but there will be quite a bit of walking required each day. Therefore a basic level of fitness and mobility is required. The Sapporo Grand Hotel and Keio Plaza Hotel will provide excellent accommodation for this tour. Both hotels are conveniently located and are know for their professional service and value. Both hotels would would be considered a four and a half star ratings by Australian standards. Buffet breakfast is included daily during our stay. Your room telephone, Pay TV and Mini Bar may be used at an extra cost which is payable upon check out. Minimal on the spot expenses may include some local train fares, souvenirs, some entrance fees to temples, museums and other tour destinations and of course "betting money". At the Japan Cup we ask that everyone "dress up" for this big day. We request that the gents wear a jacket and tie. Ladies do not need to wear a hat. For our daily sightseeing we recommend loose fitting, casual attire and comfortable walking shoes. For our optional group dinners together smart casual attire is suitable.